The Annual Meeting took place on Thursday, January 10 6:30 p.m. at the Elms Retirement Village. A BIG THANK YOU to the Elms Retirement Village and Sprenger for hosting and providing refreshments! 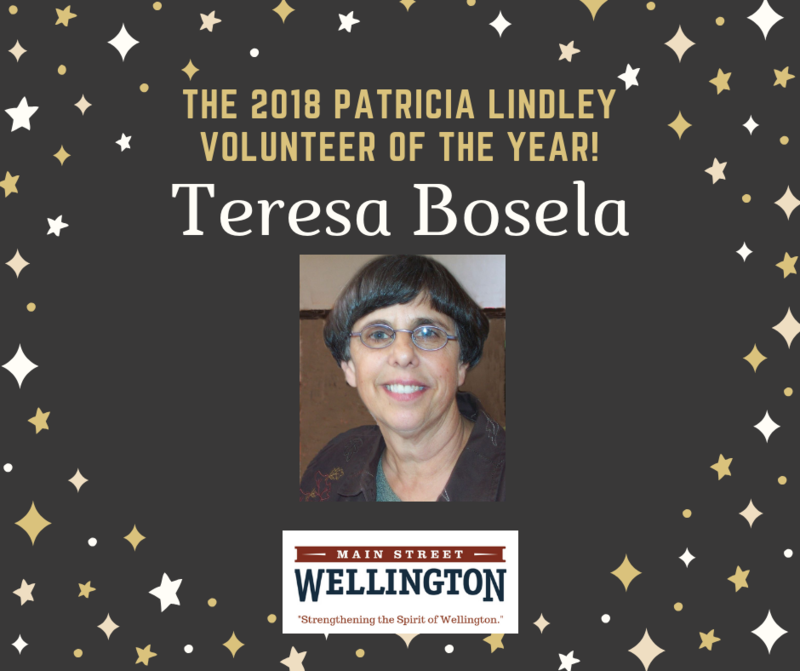 are delighted to announce that Teresa Bosela is the 2018 Patricia Lindley Volunteer of the Year. In late 2017, Teresa joined our Marketing and Promotions committee. She has been our most dedicated and reliable volunteer-helping plan and coordinate Let’s Wine About Winter-Beat the Winter Blues with Brews, Gazebo Garden Walk, all of the HOT July events: Dog Days of Summer, Antique Car Festival, and the Patriot’s Band concert. She helped Main Street Wellington and the Spirit of ’76 Museum with the Fall in Love with Wellington festival including taking photos for the I-Spy photo contest. She helped sell tickets and attended the Home Tour, and was the one and only volunteer at the Church Tour. Jenny Arntz, Executive Director states, "I’m so delighted that she will be on the board and I suspect that she will motivate the board members and volunteers to give a little bit more." 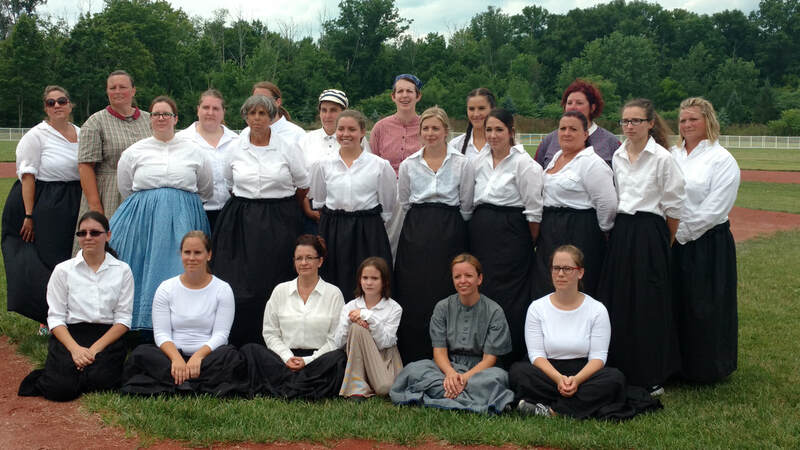 For last year’s Bicentennial, Teresa skirted up and helped the Wellington Ladies win a vintage baseball game against the Lady Diamonds. Teresa also attended many Bicentennial events throughout the year. Around the same time she joined Main Street, she also joined the Friends of the Museum and has taken a very active role. Barb Leiby states, “Teresa is one heck of an organized person and motivator.” She schedules volunteers to help the museum and often covers shifts herself. Many of us have received Teresa’s text message reminders! She was the creator of the museum's 50th Anniversary event and spearheaded a Business to Business mixer for local leaders at the museum. She often works as a Registered Nurse at St. Vincent Charity Hospital in Cleveland and has been a paramedic with SLCAD for over 30 years. When she’s not spending time working or with her husband George of 53 years, four kids, and 9 grandchildren ages 9-23 years… Teresa stays very active playing Sudoku, Crosswords, pickleball, bowling, and golf. Her daughter Liz, shared that Teresa played on 3 golf leagues at one time, and also tried out for the Senior Pickleball Olympic Team [then added LOL] Liz also shared a story of Teresa’s artistic and crafting abilities. Including a drawing of Paul Stanley from KISS and building a Hexagonal picnic table. Congratulations Teresa! You are very deserving of this award and we’re delighted that you will be joining our Board of Directors this year! 2017 Patricia Lindley Volunteer of the Year Award! Allison Zander (Fahler) was born and raised in Wellington. She graduated from WHS in 2002and from BGSU in 2006 with a degree in Music Education. She taught music for 7 years after college. She stopped teaching to raise her two children Zach 4 1/2 and Daphne 3 1/2. Allison and Jeremy have been married since Jan 1 2011. She now teaches piano lessons from her home, she is a member of Wellington FUMC where she fills in from time to time playing piano for church services and has also filled in at the Congregational Church. She is a member of Wellington Women's League and also serves on various church committees. She loves her community and volunteering. Allison has been a volunteer for Main Street Wellington for almost ten years. She has shared an abundance of time scheduling Summer Concert Series, including attending most Friday night performances! Allison also assisted with additional events including the Cheese Heritage Festival, Gazebo Garden Walk, Small Business Saturday, decorating the Veteran’s Tree, and Let’s Wine About Winter. She currently is on the Home Tour and Promotions Committees. Allison’s friendly and fun personality aids her with promoting events in Wellington on social media like the Wellington Community page. She frequently will say, “I love Wellington!” and it shows through her passion to help the community. The Elms Retirement Village hosted the Annual Meeting once again and graciously provided light refreshments. The following new board members were accepted. Click Here to see the Board Bios. Annual Meeting, January 24, 2017. Bill Brumfield congratulates Pat for being awarded Volunteer of the Year, named in honor of his late wife Pat Lindley, who started Main Street Wellington. The Wellington Eagles hosted our Annual Meeting with special guests from Heritage Ohio, Inc. who presented on the Benefits of Revitalization and Community Visioning. 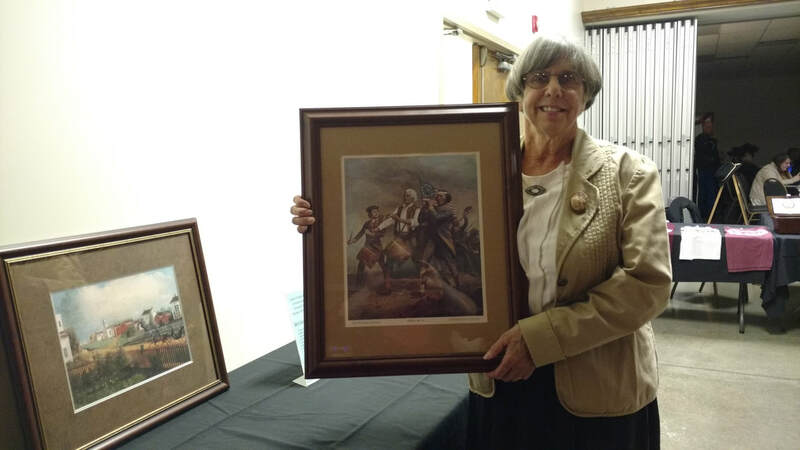 ​Pat Bolt was awarded the Patricia J. Lindley Volunteer of the Year. ​This award is given to a volunteer who has given time and talent to the organization over the past year. In the past, it tended to be awarded to volunteers who are trying to “retire” from Main Street. However, this may be the first year the board decided to give the award to one of our newer volunteers. Pat moved to Wellington in 1981. She taught German at Wellington High School for fifteen years. Pat has been enjoying retirement, especially spending time with her granddaughter, Harper whenever she can. Pat also sells Mary Kay, loves to read, and share coffee with friends. Pat often “office sits” when Jenny, the Executive Director is absent. She single handedly reorganized the “paper cave” and has been assisting with organizing the office and storage areas. 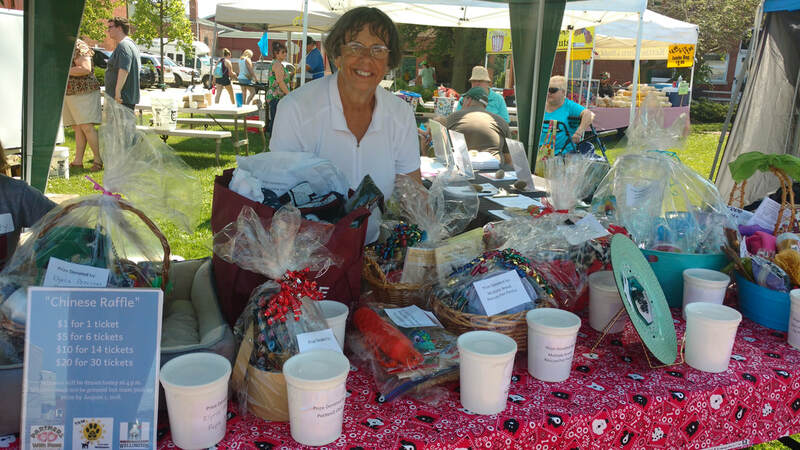 Pat also charmed the community when scooping hard ice cream at last year’s July 3 ice cream social, and helped at the Cheese Heritage Festival- She even came to help on her birthday!